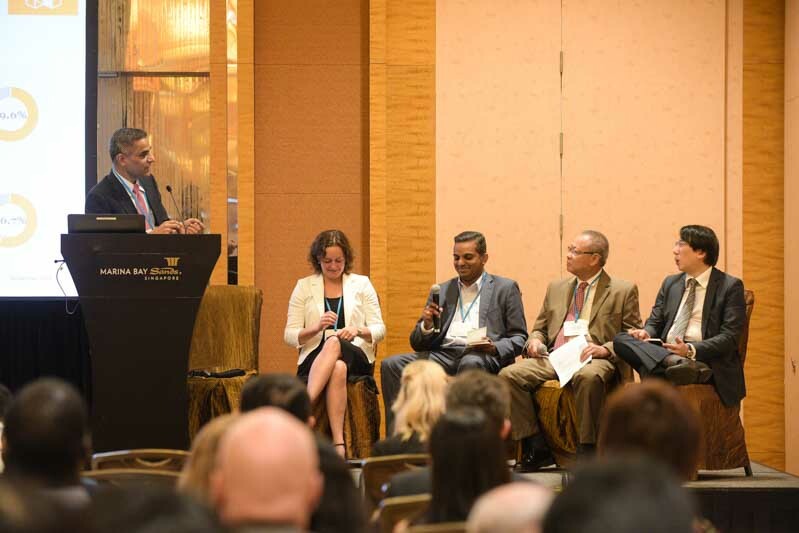 OpenGov was at the Responsible Business Forum for Sustainable Development (RBF) held on 23 and 24 November 2016 in Singapore and attended a few workshops based on the UN’s 17 sustainable development goals (SDGs) to be achieved by the year 2030. SDG 9 – Industry, Innovation and Infrastructure focuses on building resilient infrastructure, promoting inclusive and sustainable industrialisation as well as fostering innovation. Mr. Subramaniam from Philips began the discussion by asking the four panelists what industry, innovation and infrastructure meant to their respective organisations. Starting from Mr. Srinivasan, he observed that there are three mega trends in the world: population growth, urbanisation and increased wealth. He explained that in terms of infrastructure, lighting is the ‘low hanging fruit’ and presents massive opportunities, such LED lighting that can be integrated and controlled via the Internet of Things (IoTs). The example of Jakarta was cited- the capital city of Indonesia has about 180,000 street lights and the city administration has converted 90,000 of them to LED connected lighting. This means that each of these LED lighting points can be monitored, receive and transmit data, potentially leading to huge amounts of energy savings with proper policies and monitoring in place. Lighting is a small and often overlooked aspect of infrastructure but these small adjustments can have a huge impact in increasing street safety and reducing energy consumption. Mr. Reinoso provided his perspective from the government planning agency of the Philippines – SDG 9 presents both an opportunity and a challenge. SDG 9 provides the government an opportunity to take part in global development initiatives where different parties can work together towards achieving common goals and to learn from the experience and best practices of other countries. This includes countries in the Asia-Pacific which are more advanced in terms of infrastructural development. SDG 9 also provides a platform to for the government to rethink the national agenda, whether it is closely linked or aligned to international agendas. In terms of challenges, the government needs to set clear policy directions for implementation in the monitoring of national goals and developments. To foster innovation, it is also important to adapt best practices from both the public and private sectors. The government of the Philippines continues to improve the enabling environment for the private sector to participate not only in infrastructure development but all of the government’s development undertakings. Coming from an education/academic institution perspective in Singapore, Mr. Tay from NTU gave a historical retrospective of how pricing has always been viewed in the capitalist mode of production in terms of materials and consumption according to scarcity. Perhaps with resources that are less easily replaced, pricing has to be looked at in a different way. Looking forward, innovation will be quite different and things like sustainability, green chemistry, industry ecology and renewable energy will be integral aspects of innovation. Cities form only 2% of the planet’s surface but 50% of the world’s population stay in cities with some 70% of the world’s energy consumption and 80% of CO2 emissions coming from cities. Mr. Tay posed the question that there must be new ways of looking at how cities are built from design and industry perspectives. Currently, pricing done in the capitalist way of thinking actually incentivises demands but perhaps things can change. Finally, Ms. Schreve from ING mentioned that ING was one of the first few mainstream global banks to look at sustainability as a business opportunity because sustainable business is better business. Building the economy of tomorrow requires the acceleration of sustainable business thinking and practices. The concept of the circular economy is also a top priority of ING, which is a new form of economic opportunity and growth that moves away from current linear extractive and consumptive patterns, characterised by chronic waste and negative externalities, towards a system that is restorative and regenerative by design.